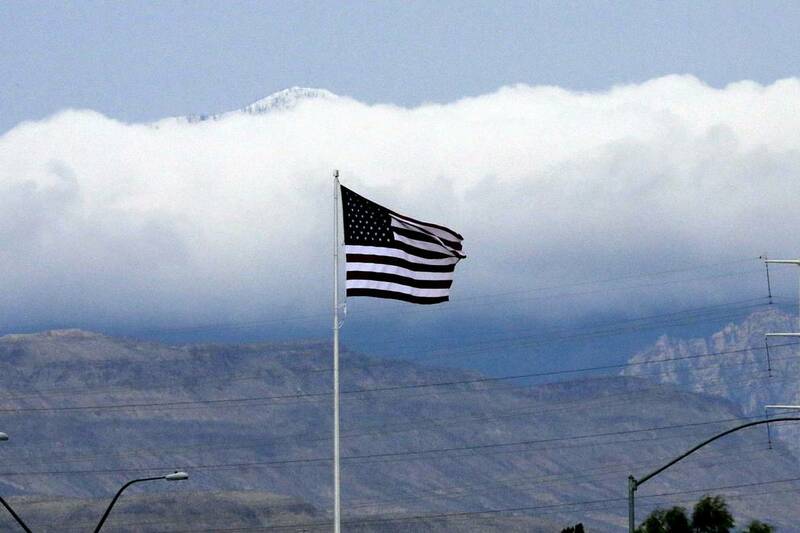 The Las Vegas Valley can look forward to warmer-than-average temperatures after a windy and cool start to the week, according to the National Weather Service. Winds gusting between 30 to 35 mph will sweep the valley Monday, followed by 25 mph gusts on Tuesday. “Winds should die off in the afternoon and evening hours Tuesday, and then we’ll have lighter winds through the rest of the week,” meteorologist Chelsea Kryston said. Monday and Tuesday will experience high temperatures of 66 and 70 degrees. respectively. After that, the weather service said, highs will eclipse the average of 73 degrees for this time of year. Wednesday and Thursday will reach highs near 78 degrees. Highs on Friday and Saturday are forecast at 83, followed by an expected high of 81 degrees on Sunday. No rain is expected through the work week. Kryston said, though there is a slight chance for showers this weekend. That “confidence is fairly low with that right now,” she said.